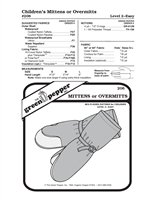 Rockywoods carries over 80 sewing patterns to help you make your own outdoor gear and clothing, and stuff for your pets as well. 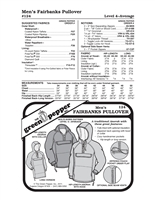 Rockywoods carries over 80 sewing patterns to help you make your own outdoor gear and clothing, and stuff for your pets as well. All of our patterns are printed on high quality paper, not tissue. This is a sewing pattern and no fabrics or notions are included. Licensed for individual use.